NEW YORK (AP) — Reggaeton star J Balvin received eight Latin Grammy Award nominations on Thursday, including two for record of the year, one for album of the year and one featuring Beyonce for his hit version of “Mi gente” with Willy William. Spanish sensation Rosalia is next with five nominations. 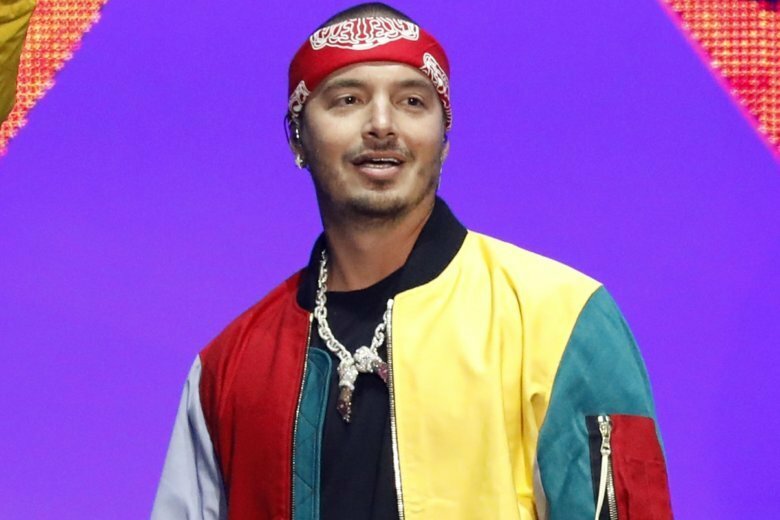 Balvin, from Colombia, got two nominations for record of the year, for “Mi gente” with William and “X” with Nicky Jam, and an album of the year nod for “Vibras,” a production he decided to do all-in-Spanish after having previously worked with American stars including Cardi B and Liam Payne. His nomination with Beyonce is for best urban fusion/performance. Rosalia is nominated for record and song of the year for “Malamente,” a hit that combines flamenco and trap. It also got nods for best urban fusion/performance and best short form music video. “I am very happy that ‘Malamente’ has gone so far, I did not imagine these nominations, even in my best dreams. The only thing I can do is to thank all those who have supported me and helped me along the way,” Rosalia said in a statement. For album of the year, Balvin will compete with an eclectic group of established and rising artists that includes Pablo Alboran (“Prometo”), Chico Buarque (“Caravanas”), Jorge Drexler (“Salvavidas de hielo”), El David Aguilar (“Siguiente”), Kany García (“Soy yo”), Natalia Lafourcade (“Musas, un homenaje al folclore latinoamericano en nanos de Los Macorinos, Vol. 2”), Luis Miguel (“¡México por siempre!”), Monsieur Perine (“Encanto tropical”) and Rozalen (“Cuando el rio suena…”). Those with four nominations include singer-songwriters El David Aguilar, Jorge Drexler, Kany Garcia and Natalia Lafourcade, and producers Mauricio Rengifo and Andres Torres. Pablo Alboran, Monsieur Perine and Nicky Jam, among others, got three each. Ten newcomers will compete for the coveted Latin Grammy for best new artist. They are Angela Aguilar, Anaadi, El David Aguilar, Alex Ferreira, Karol G, Los Petitfellas, Nana Mendoza, Christian Nodal, Claudia Prieto and Benjamin Walker. The 19th Latin Grammys will be aired live on Nov. 15 from the MGM Grand Garden Arena in Las Vegas. Sigal Ratner-Arias is on Twitter at https://twitter.com/sigalratner .